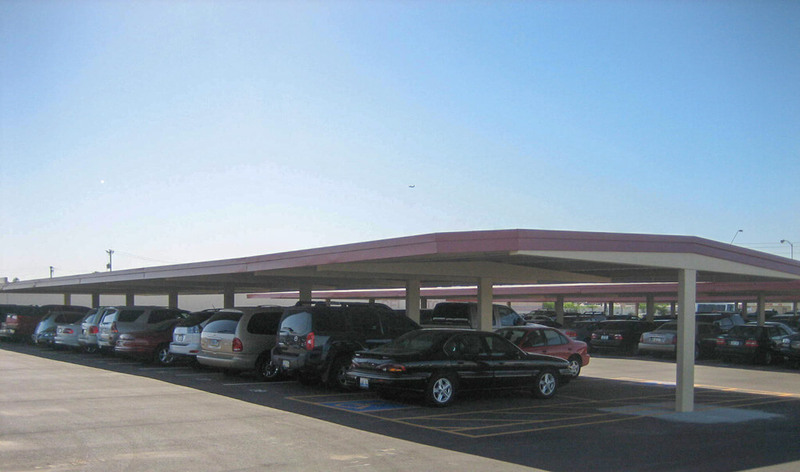 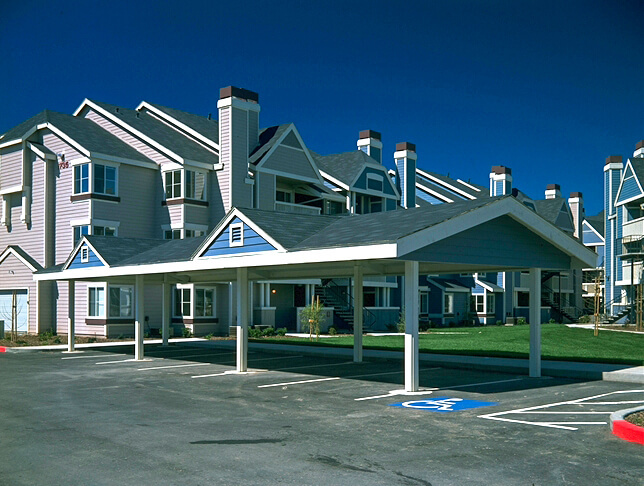 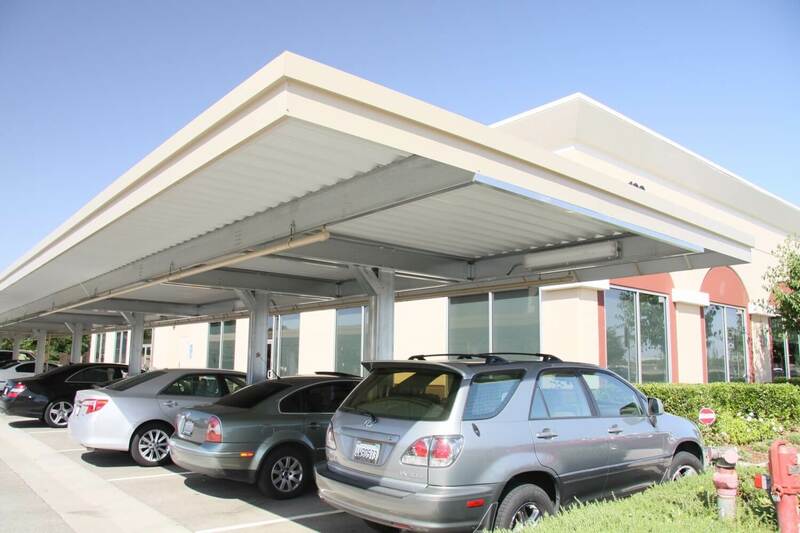 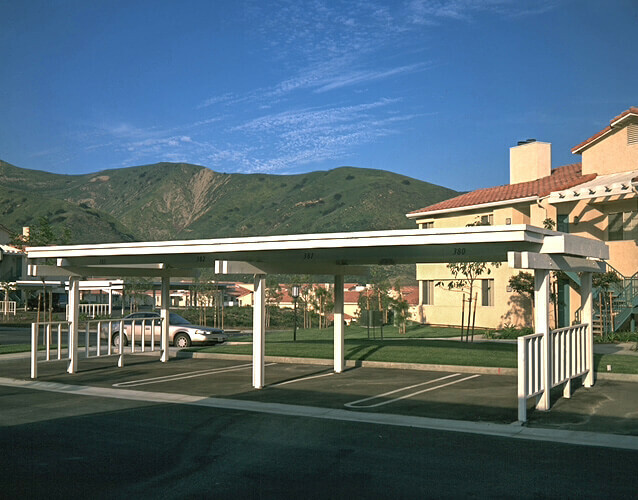 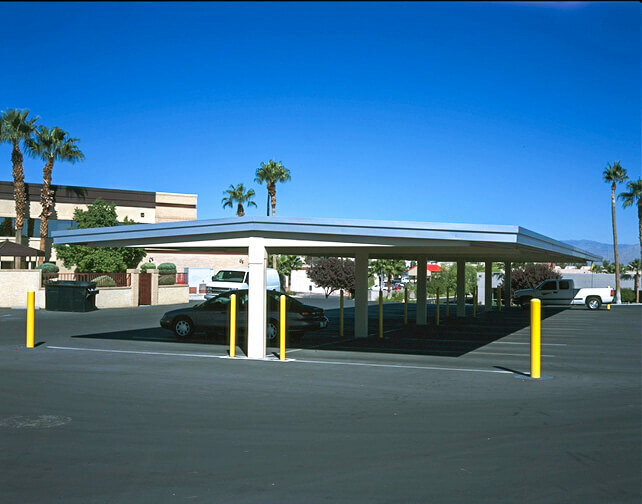 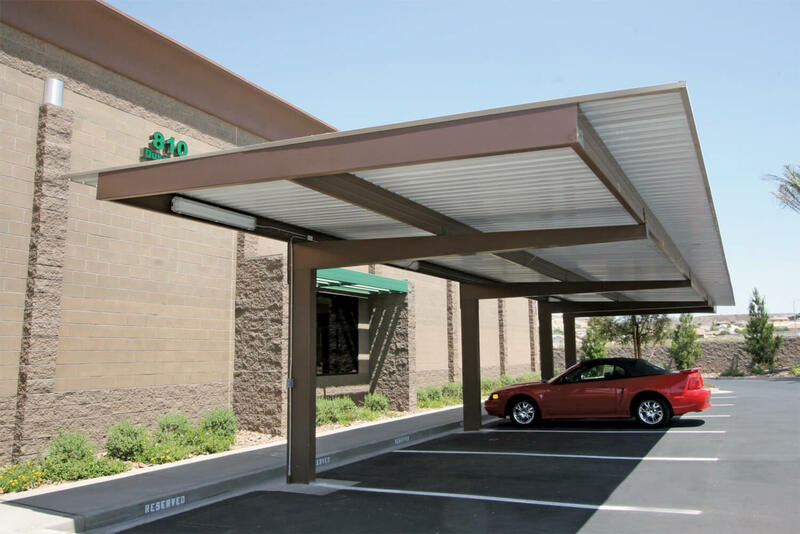 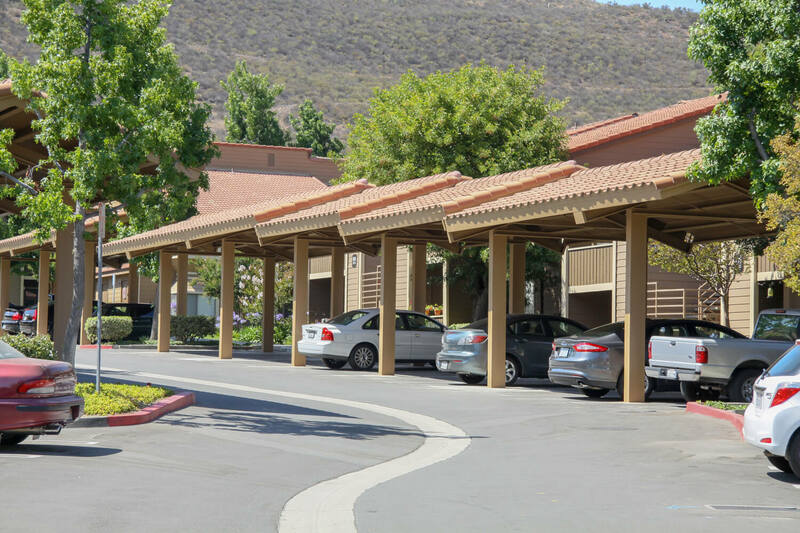 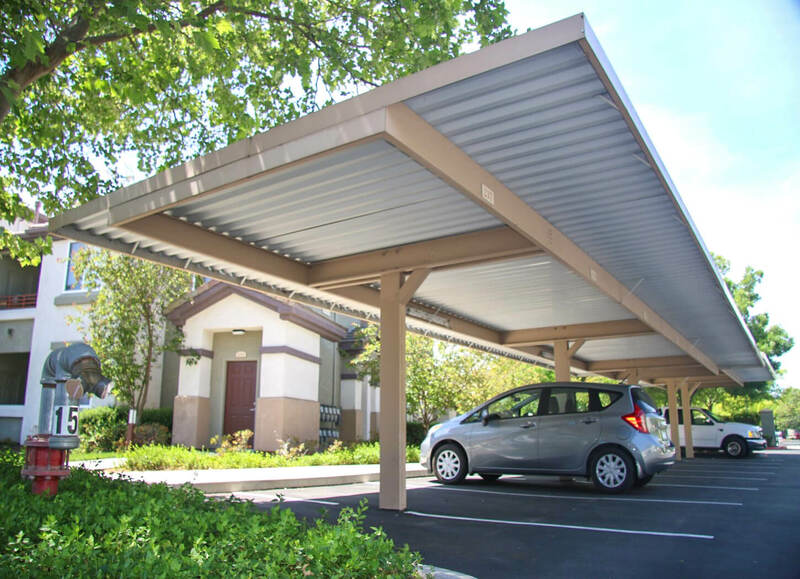 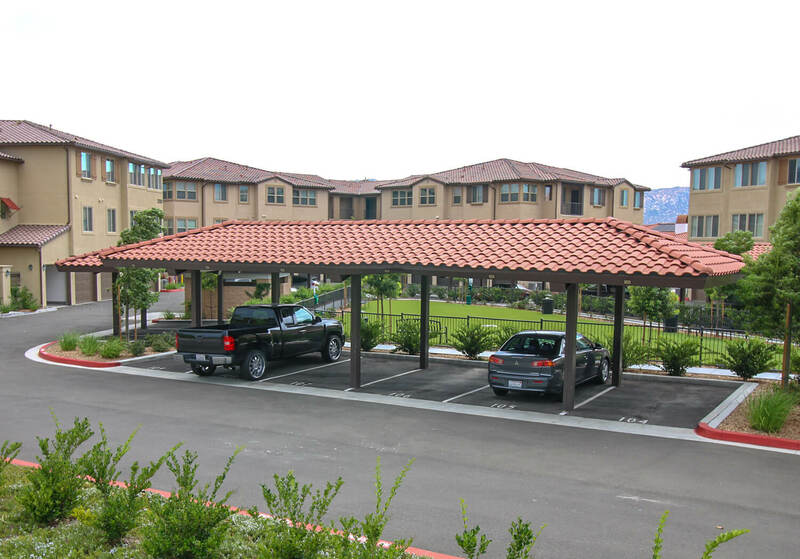 Baja’s Standard Carport & Canopy Configurations have hundreds of Custom Design Possibilities! 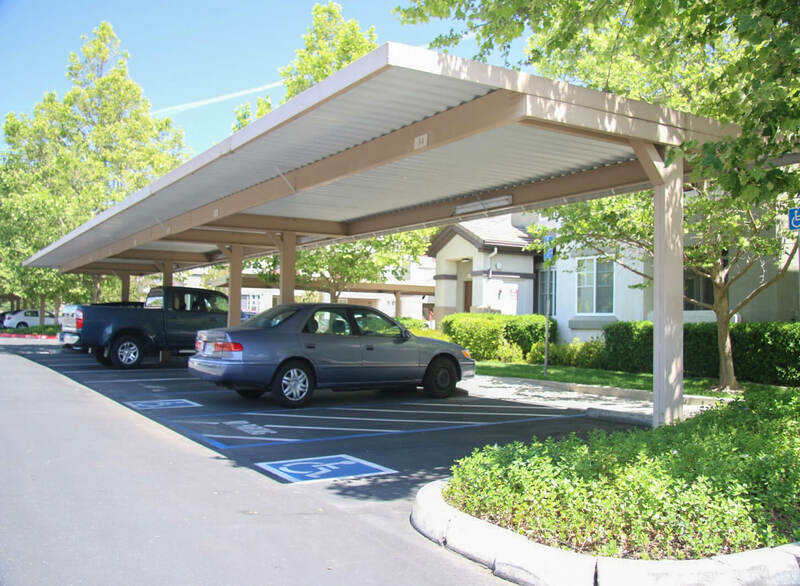 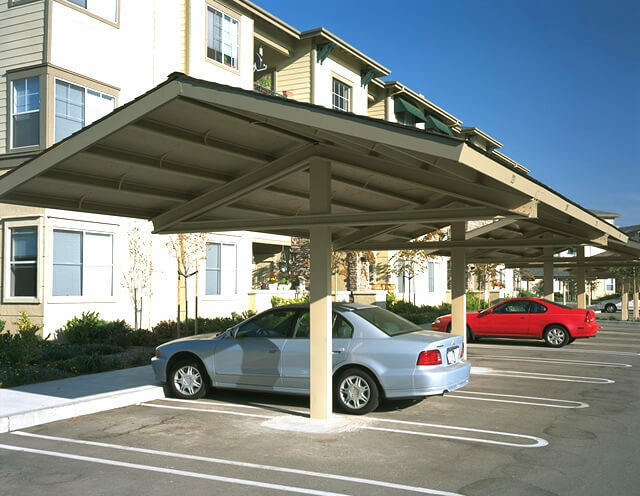 The proposed canopy location’s environment will determine the best carport solution. 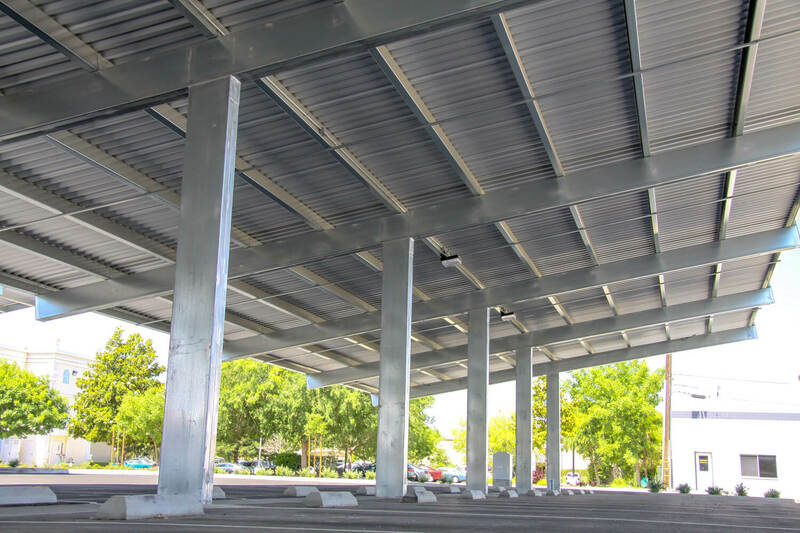 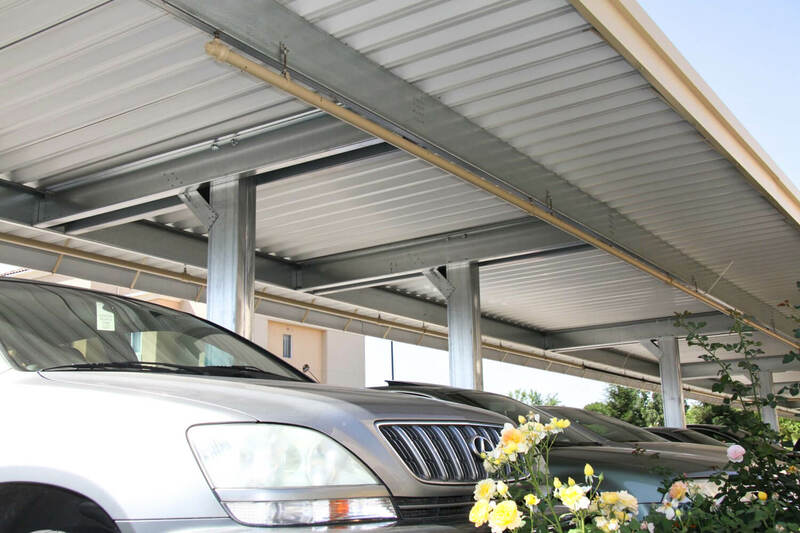 Baja’s Carport product line includes six  standard configurations, [these steel structure configurations are used for Baja Carport Solar Support Systems™] from these the Baja design engineers base their custom designs. 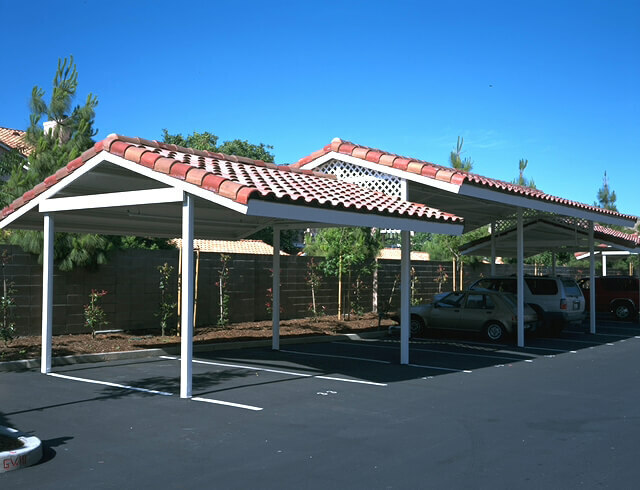 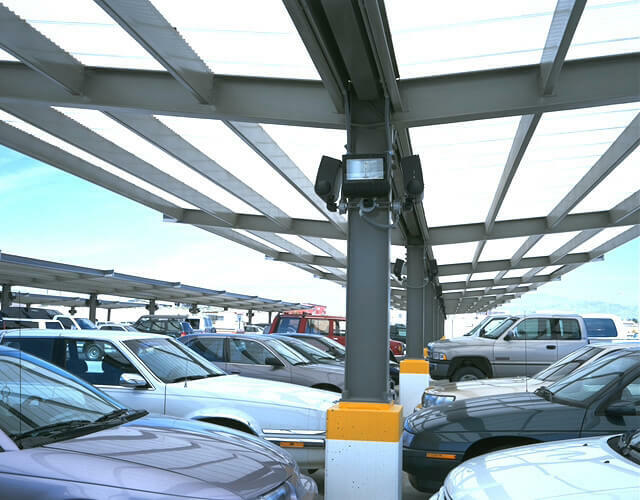 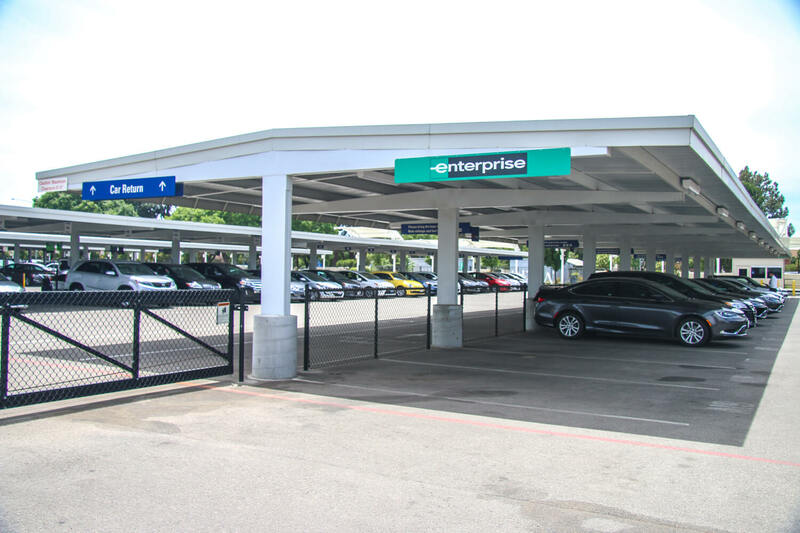 Our design engineers can create hundreds of carports base on these six steel canopies configurations. 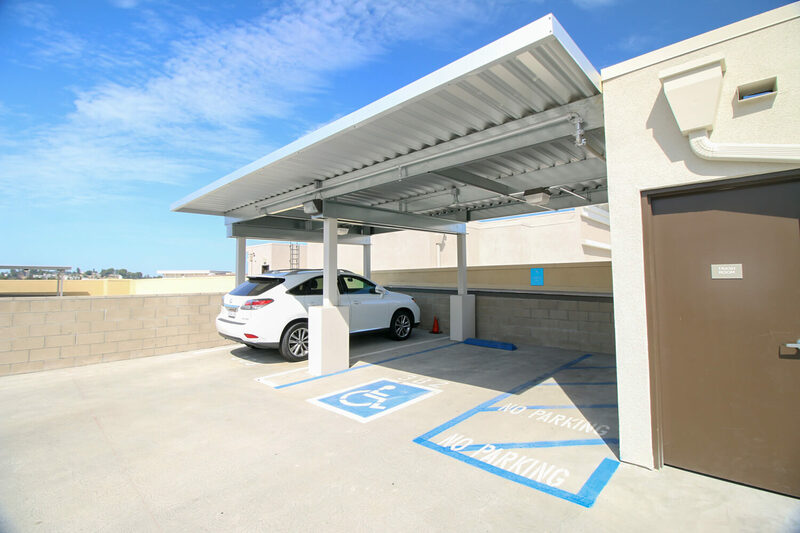 When it isn’t possible to integrate a Baja Carport Solar Support Systems™ in a property’s footprint, or it simply doesn’t make sense due to the location for optimal PV performance. 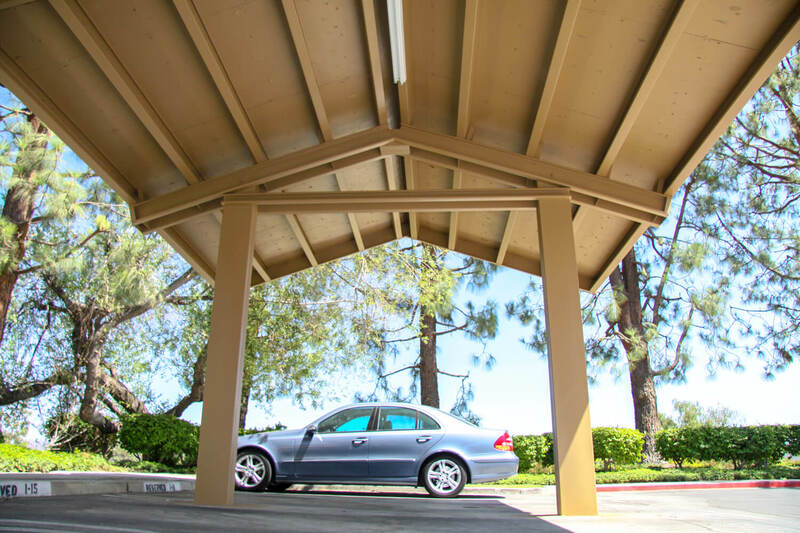 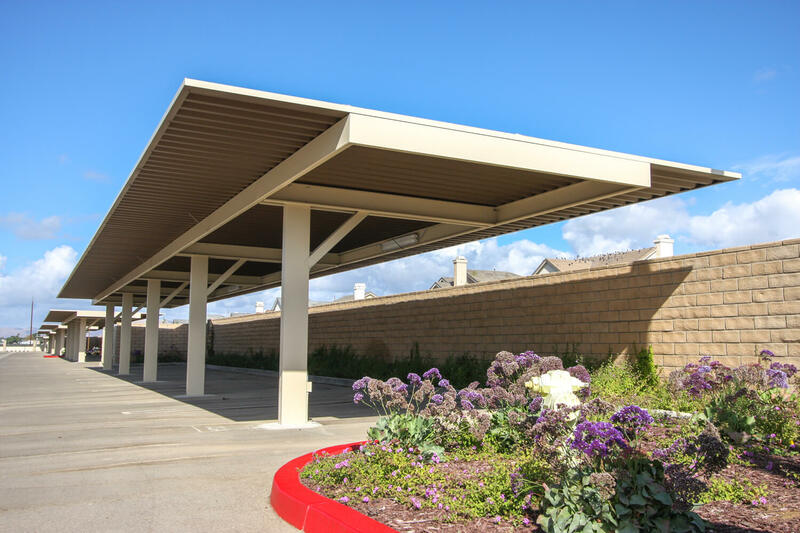 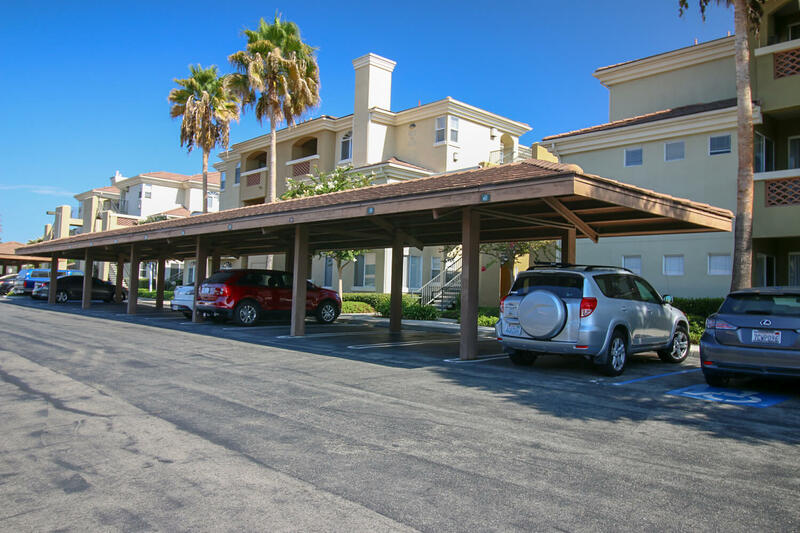 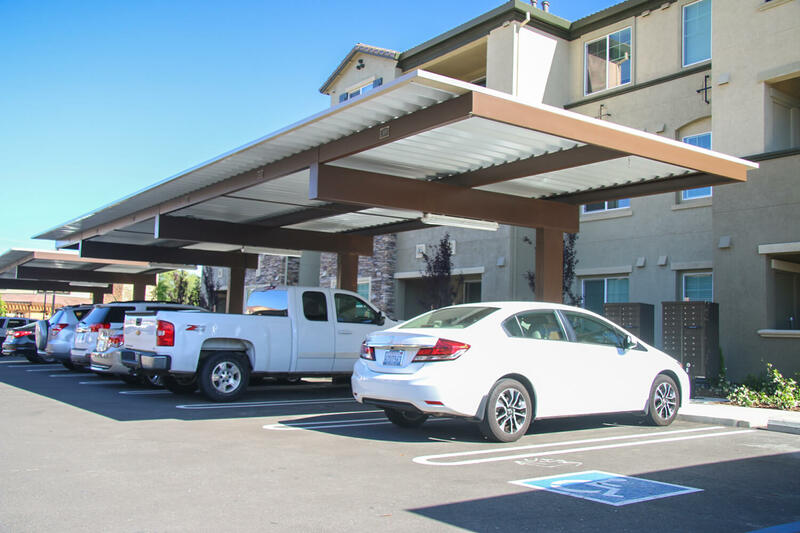 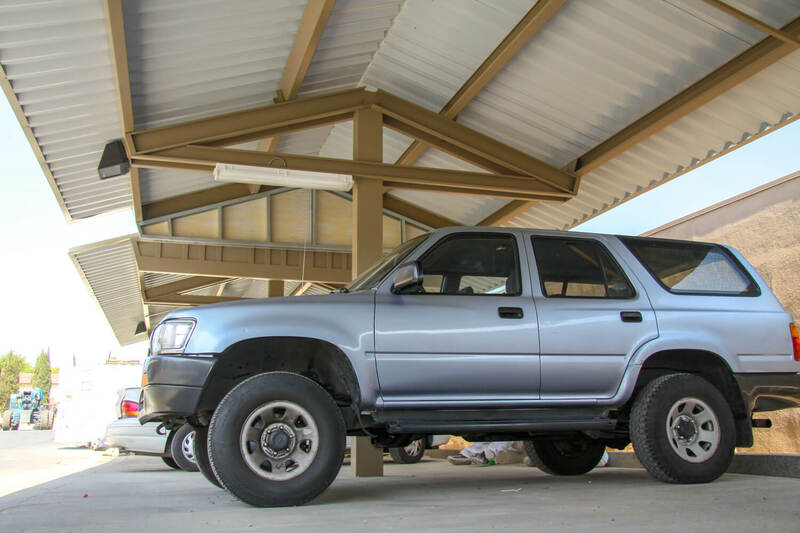 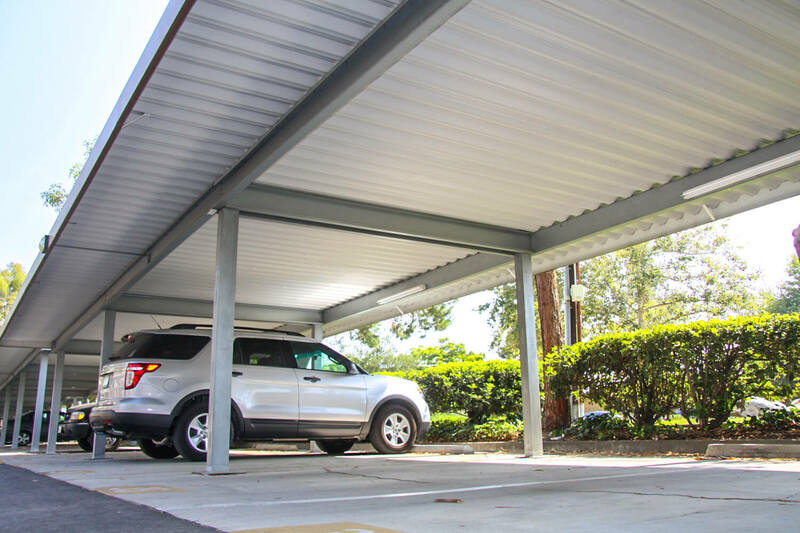 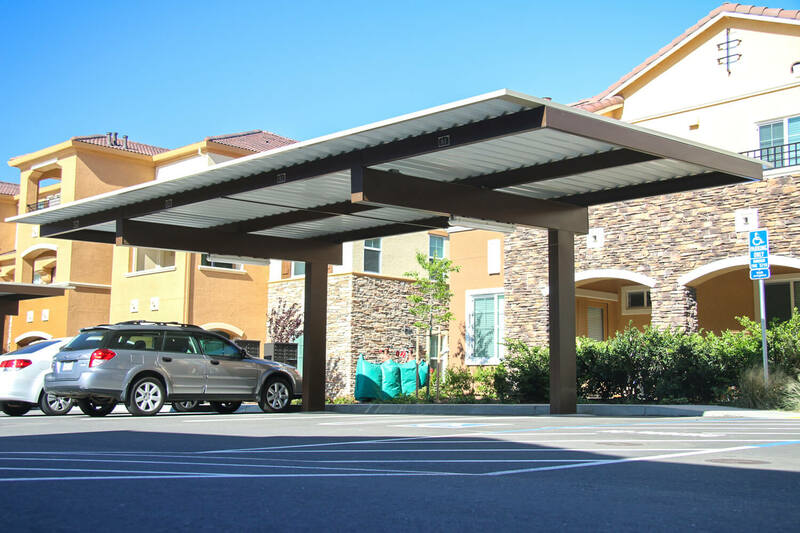 Baja’s design engineers are creating standard carports that complement the nearby environment and the property’s architecture to meet the customer’s criteria and budget. 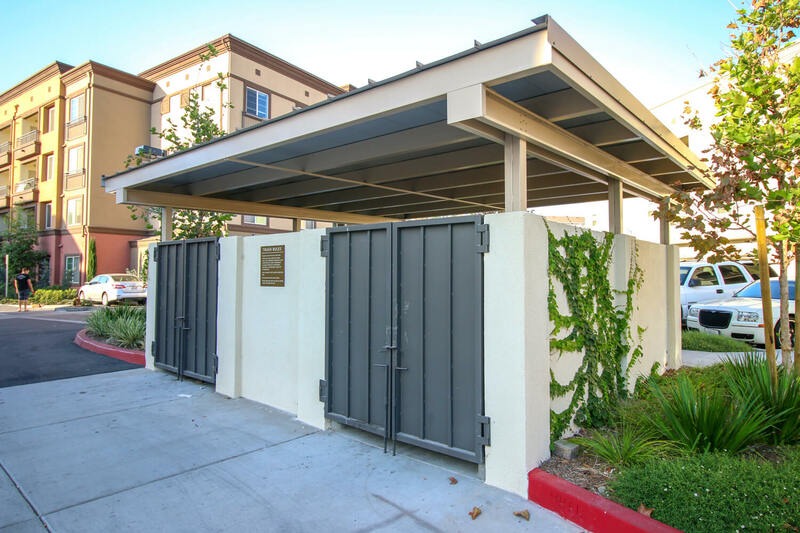 Often Baja gets asked to include trash and recycling enclosures, and equipment canopies with our bid proposal, adding to our scope of work. 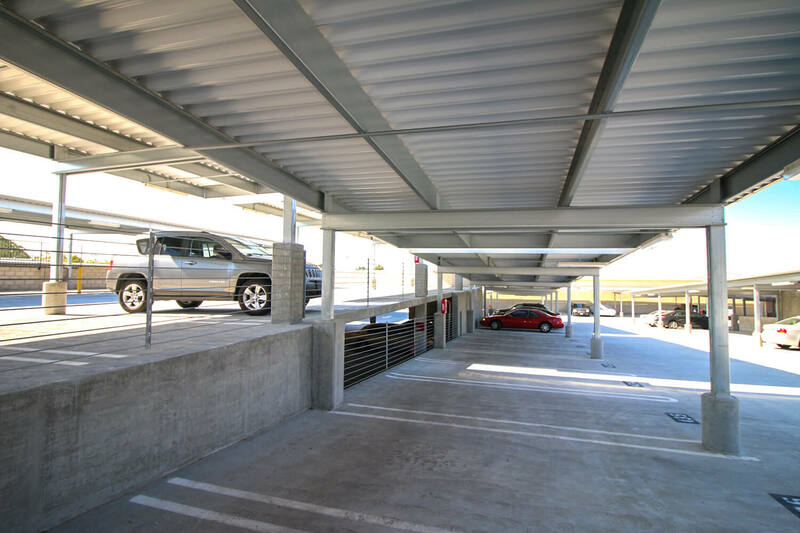 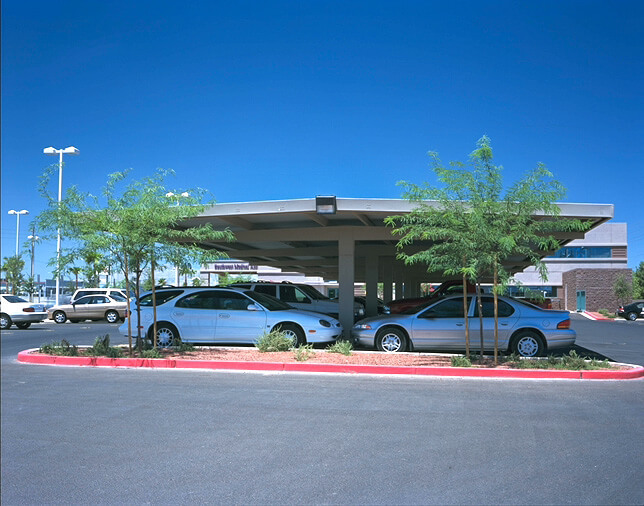 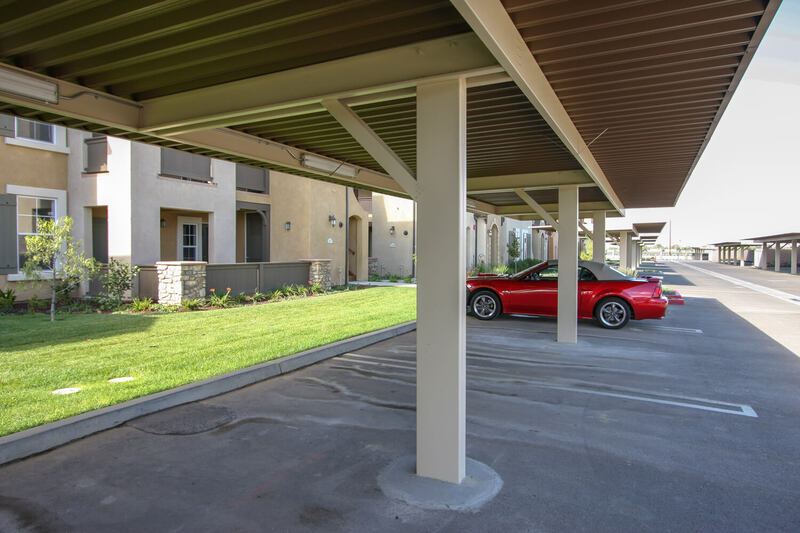 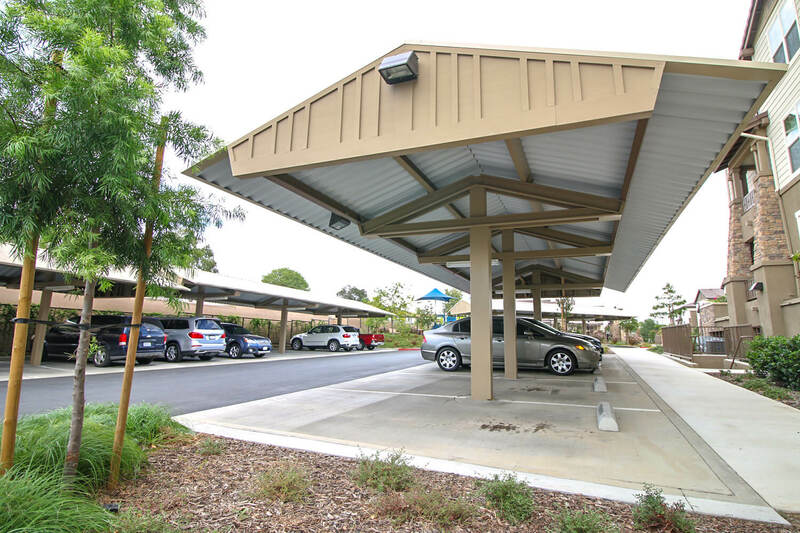 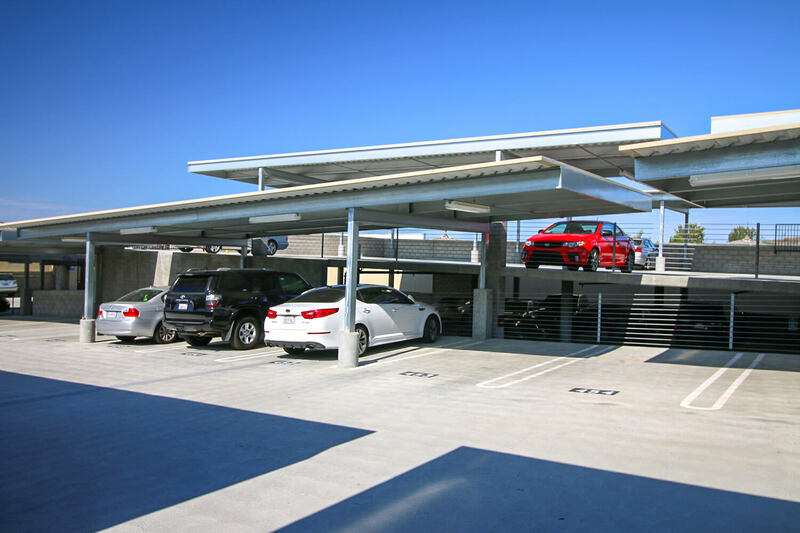 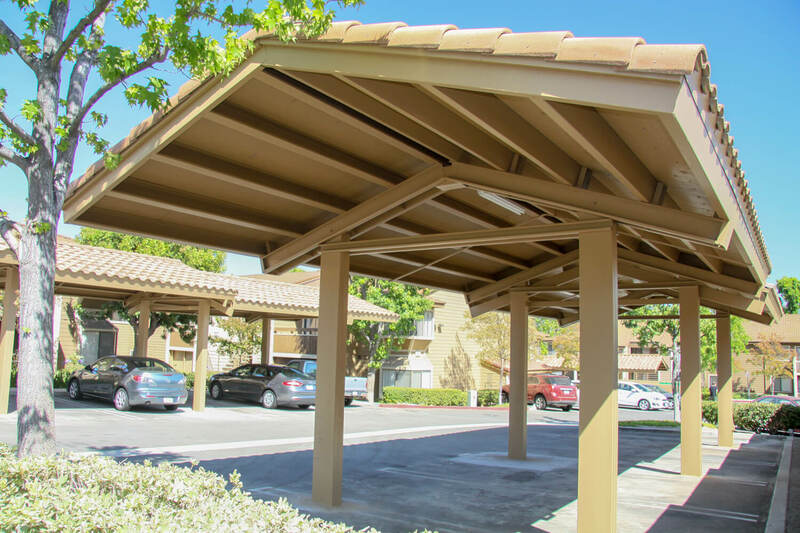 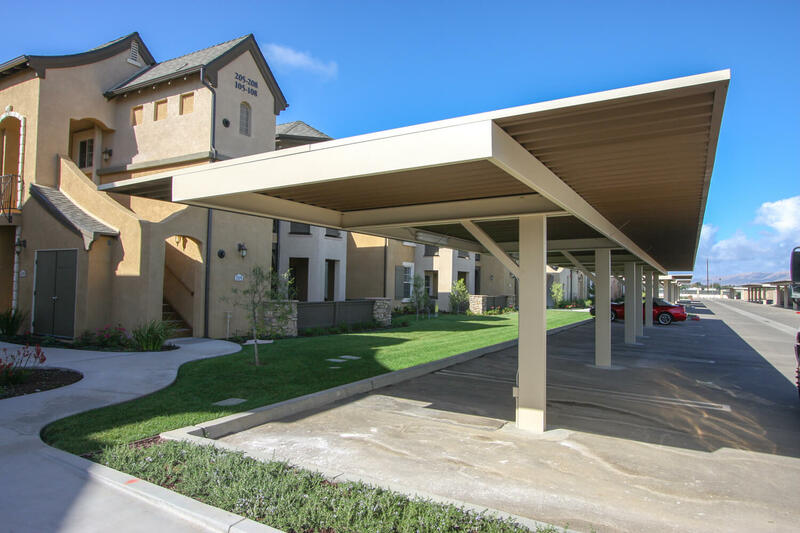 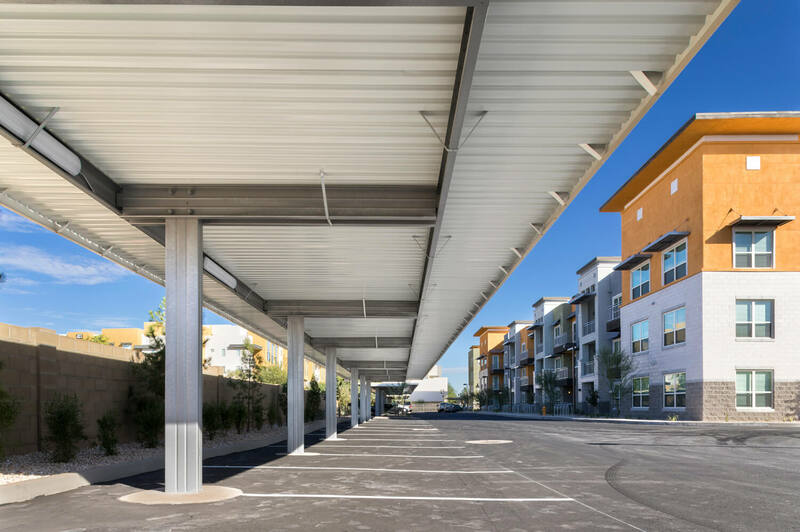 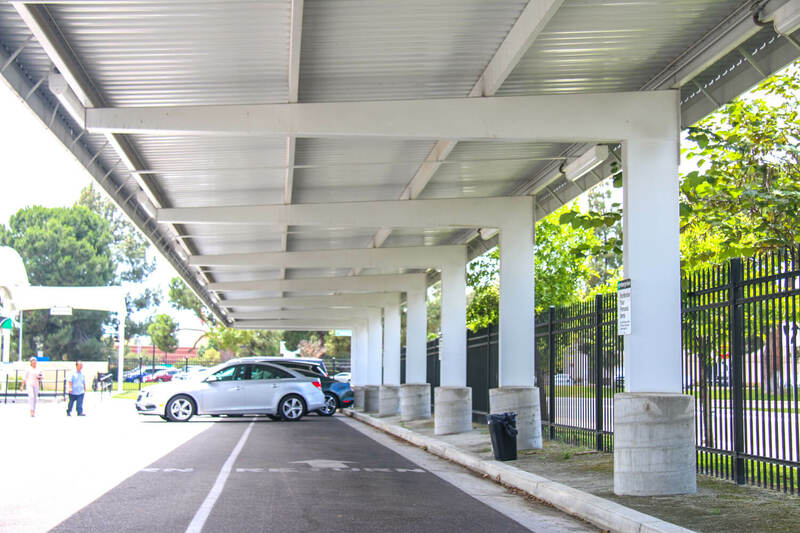 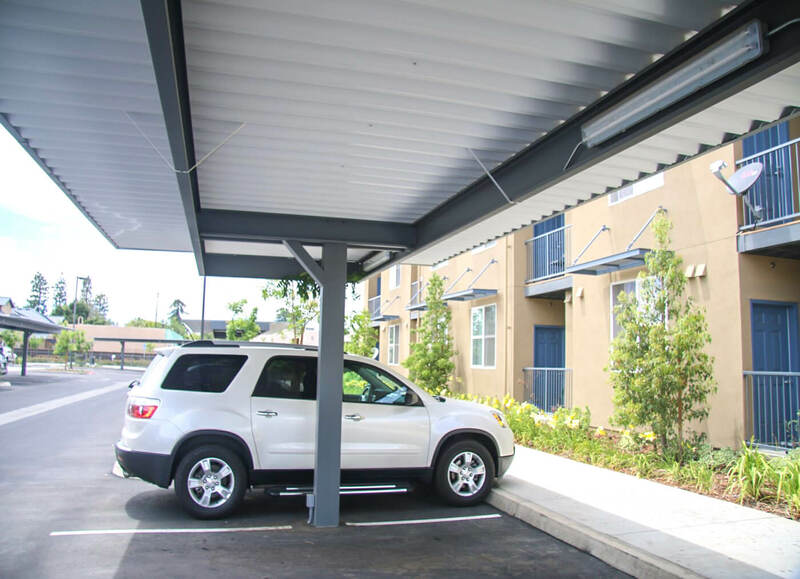 It’s important to keep a unity between the properties architecture and the other carports and canopies materials so that these structures don’t look like an afterthought. 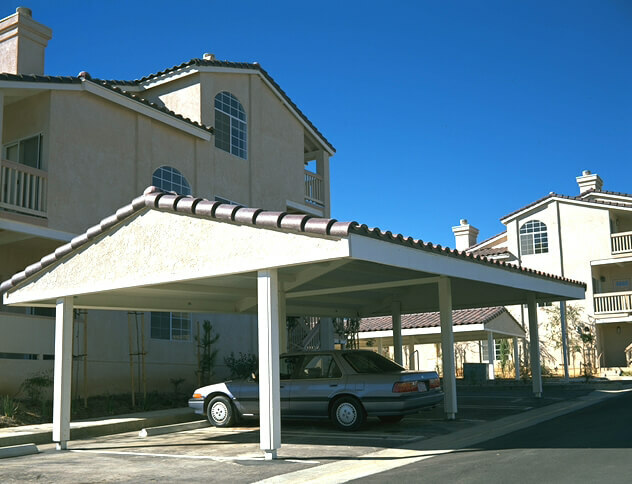 Adding a carport is economic while boosting property’s value. 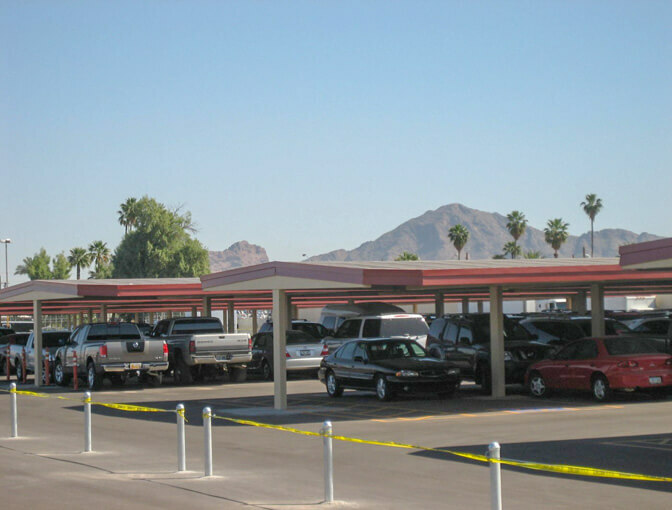 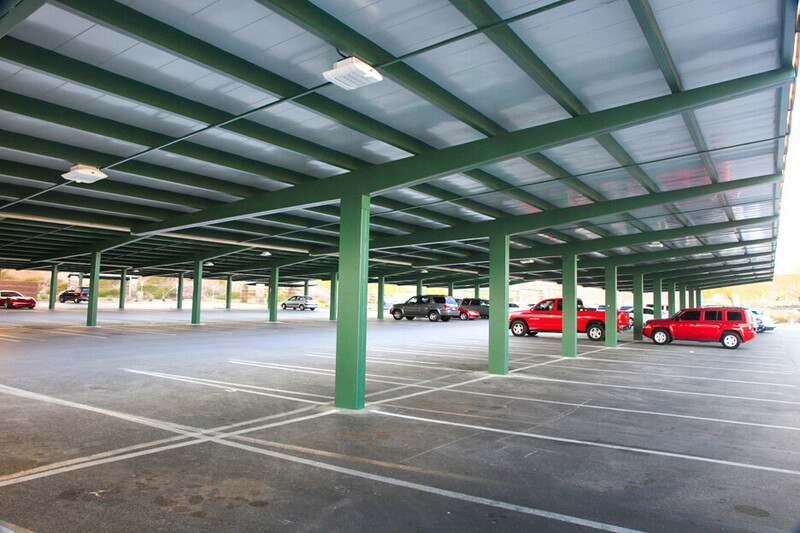 Baja Carports can accommodate any financial budget. 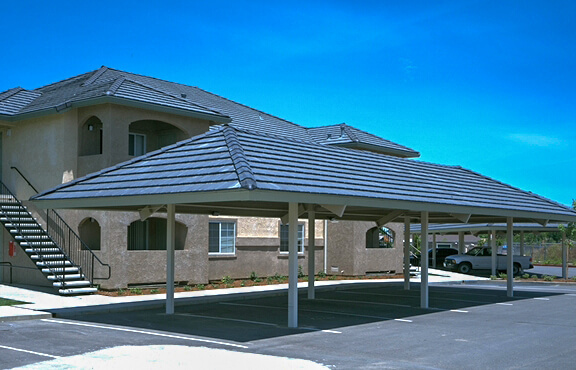 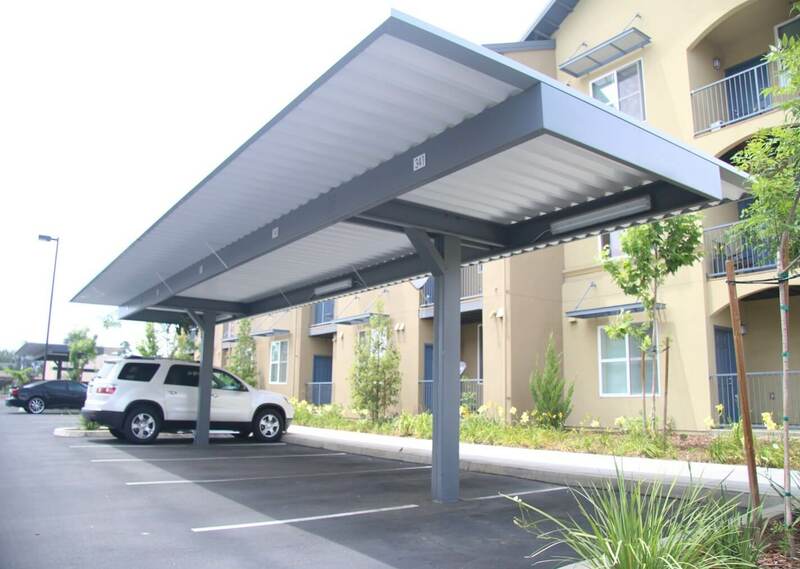 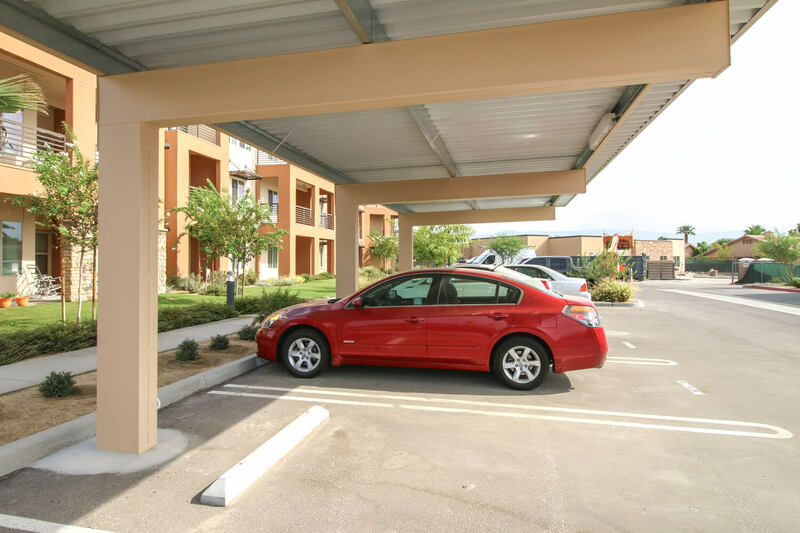 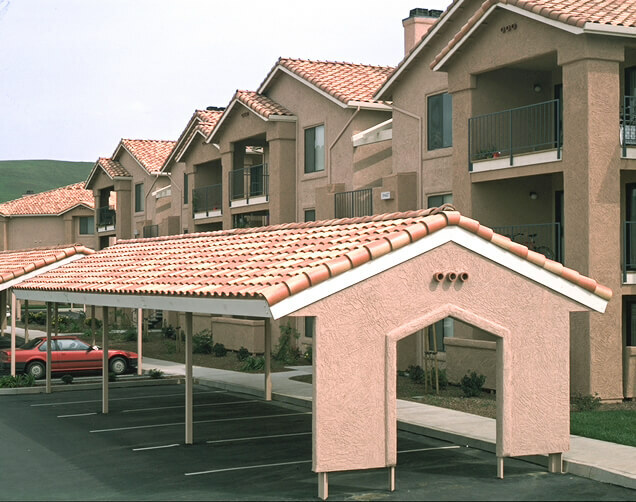 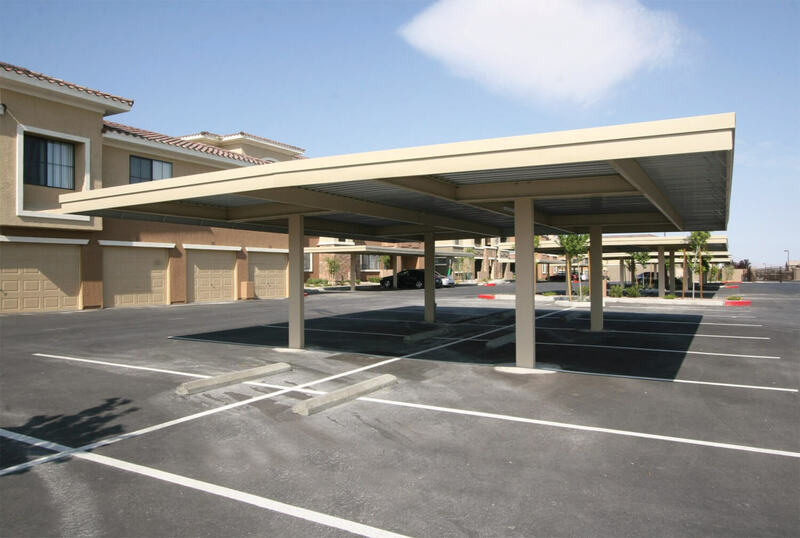 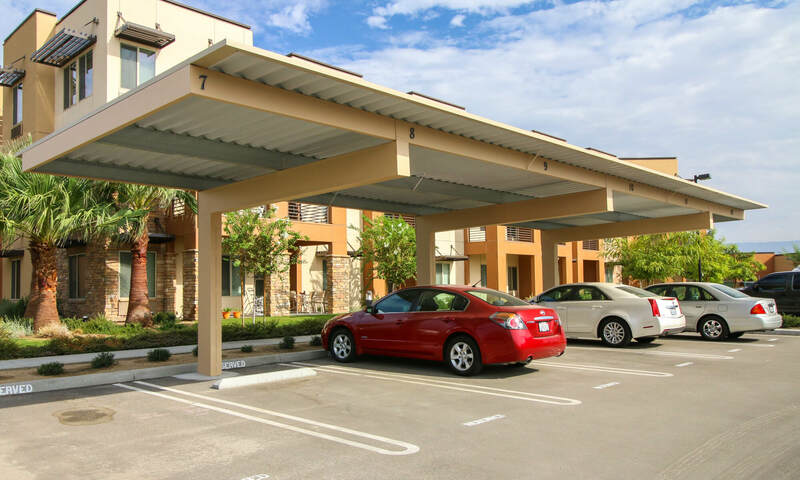 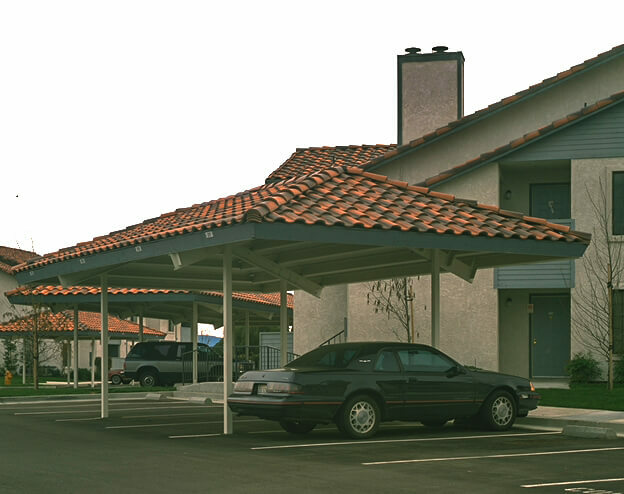 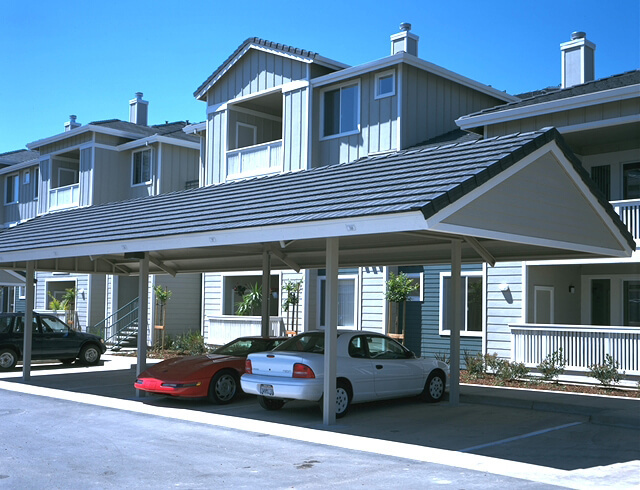 Our standard carports are popular among commercial developers and property owners in the multi-family and affordable housing sector. 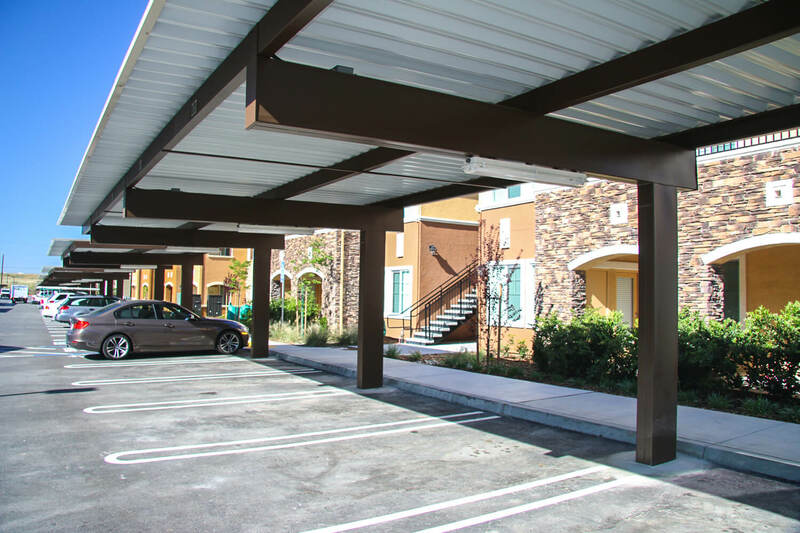 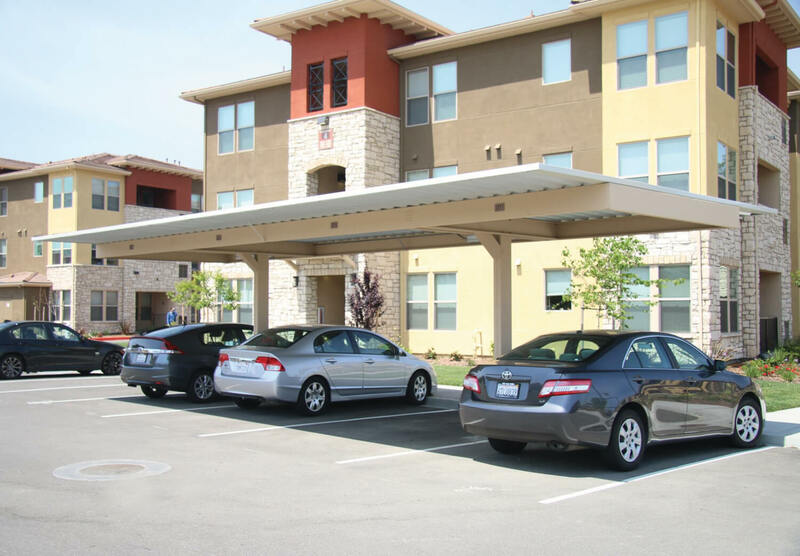 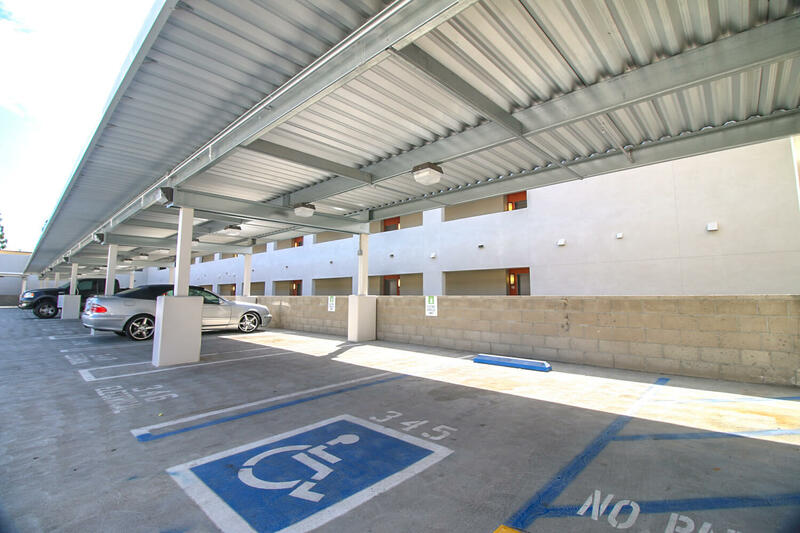 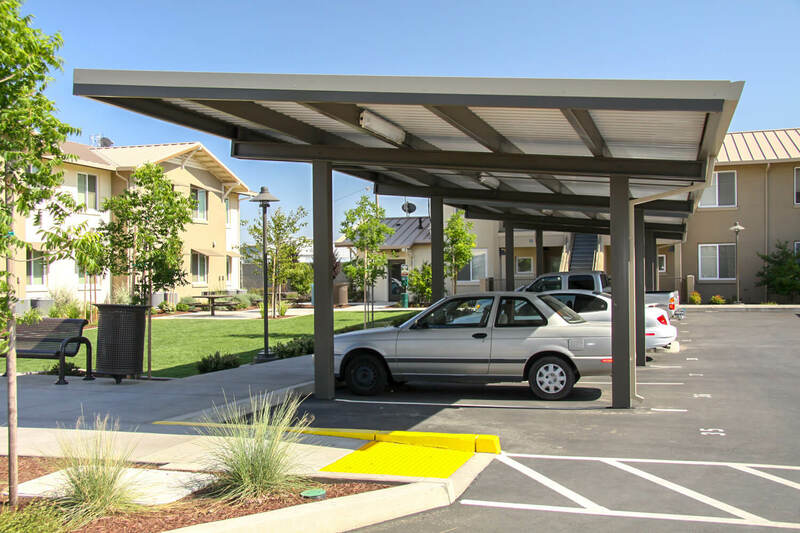 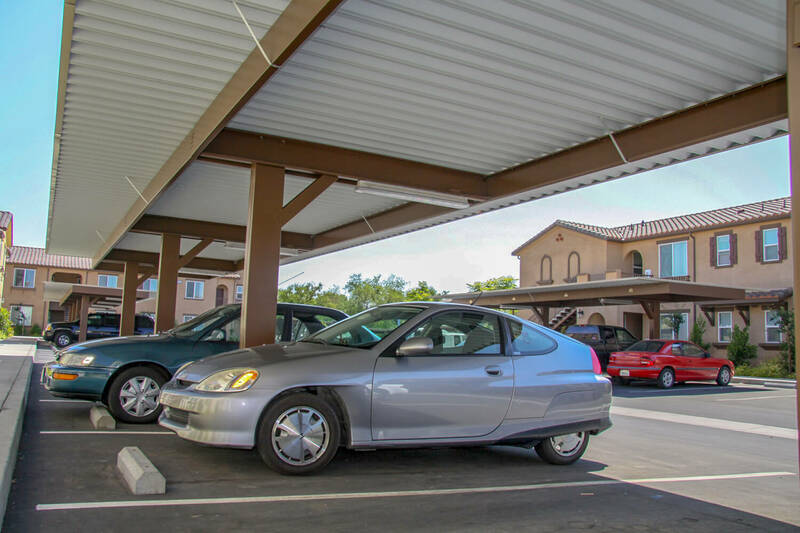 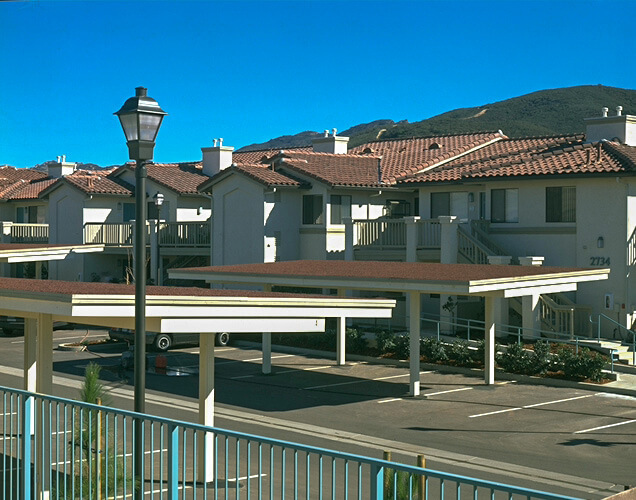 On most commercial housing projects to date, Baja is installing both standard and solar carports on the same property. 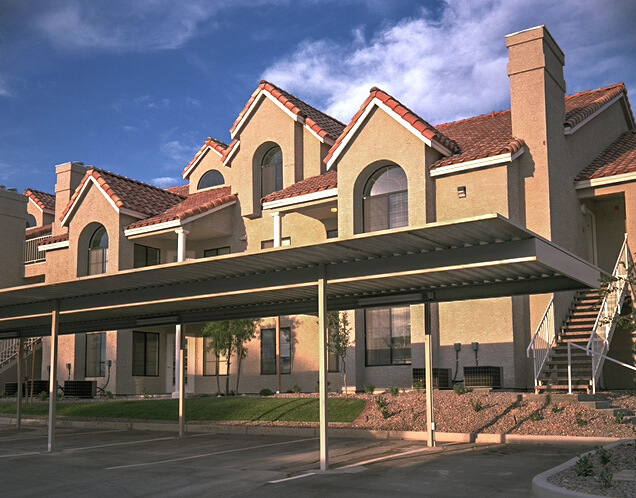 Property owners are reducing electrical cost while increasing tenant retention. 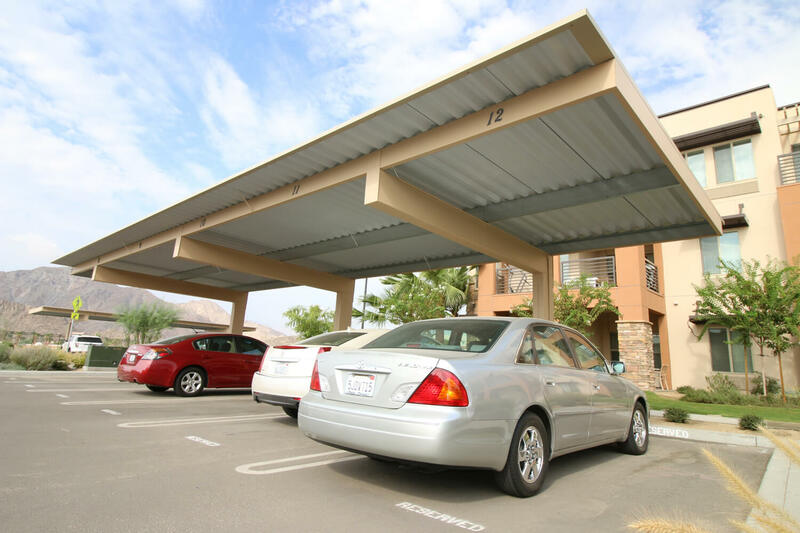 Their renters and condo owners want the amenity of a covered parking space. 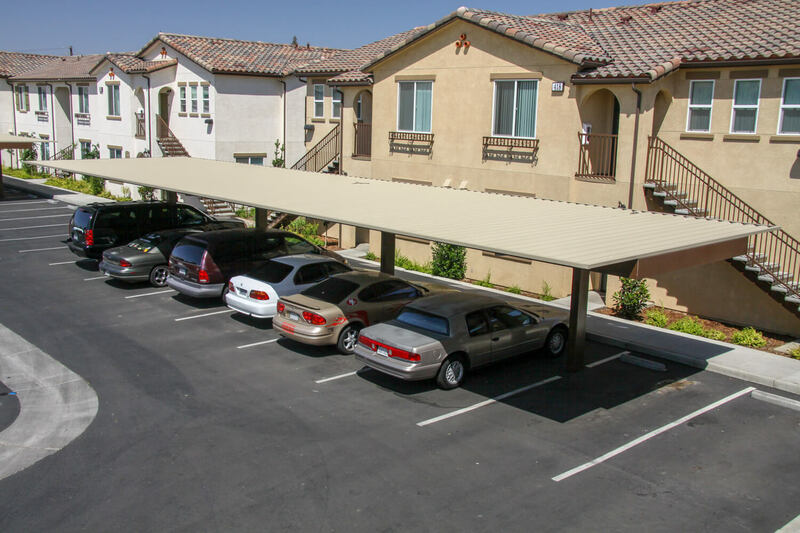 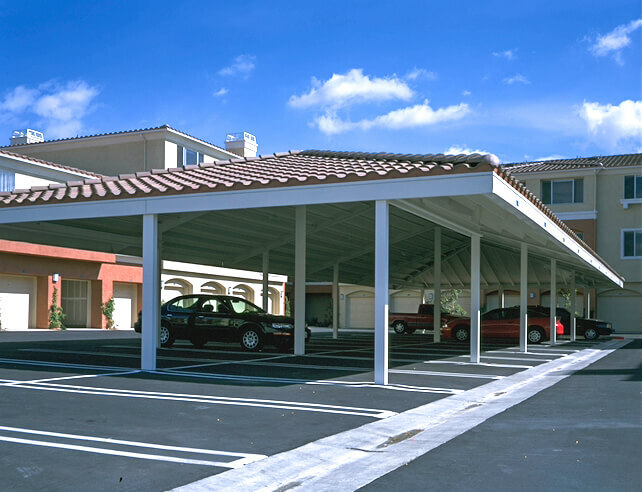 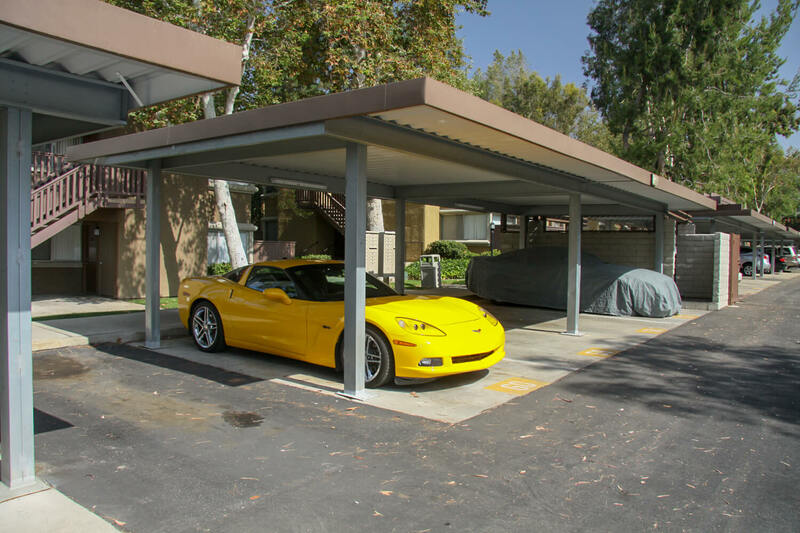 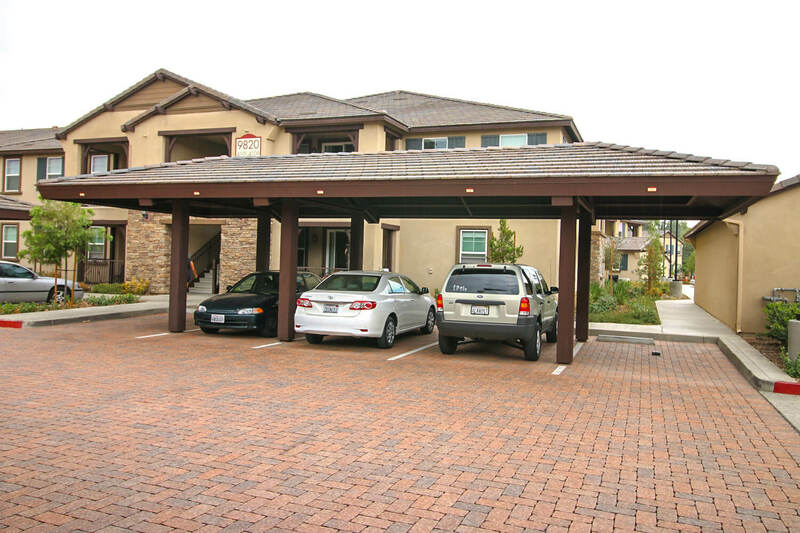 Baja works closely with customers to provide them with the carport solution that best fits their property’s needs.